Our latest post in the #TrueChallengers blog series isn’t your usual challenge on EtchRock. For this one there will be no marathons, no long distance bike rides or swims, this challenge is all about taking on the most extreme mother nature has to offer. 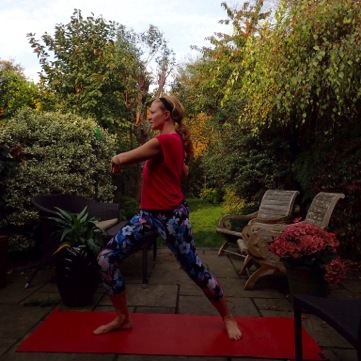 We recently got in touch with the lovely Charmian Grove to chat about her upcoming challenge in the Yamal Peninsula, Siberia which is also aptly nicknamed, ‘The end of the world’. We at EtchRock always say that, ‘A challenge is all relative’. You have to test your own limits and not other peoples, what may be a challenge to some may not be to others. But what if you are about to traverse a path that has not been taken? What if you are going completely out your comfort zone? 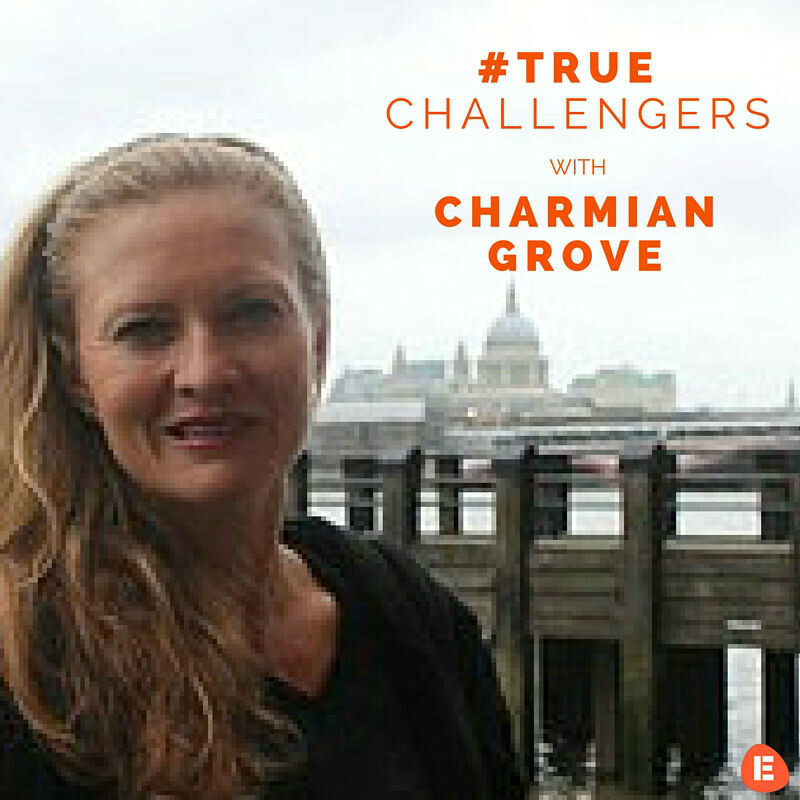 Charmian was kind enough to share her story and why she is about to undertake this once in a lifetime challenge. Here is what she had to say. I’m just your average 43 year old mother of three, living in London, the school taxi service, provider of lunch, dinner and laundry. Except, I’m not average and it’s definitely not who I aspire to be and not the way I want my children (ages 13, 8 and 6) to perceive me. My husband and I are Australian, but we haven’t lived there for 16 years. A year after we were married, we jumped at an opportunity to move to New York City. I was desperate to travel the world. My husband would have been just as happy to stay put in Sydney, but that’s just his content nature. Ten years, three children and an exciting, fulfilling career in the photo industry later, we took an opportunity to move to Singapore. A dream come true. Warm, tropical climate, much closer to Oz and the option for help at home with my brood. A major priority for us was get in better shape. Ten years of long hours, late nights and general New York debauchery had taken its toll. We had both played sport, run and been pretty active, but we never really found our sporting niche in NYC. We had Singapore’s famously exotic botanic gardens 1km down the road from our apartment. On our first run I thought I’d killed my husband. Thankfully, we had an awesome support network of encouraging health nuts in our condominium. One neighbor, who had recently completed her first marathon, assured us that when she started running a year before, she too could barely make it to the end of the street. We persevered, adding a little more distance each week and before we knew it, we were at the start line for our first 5km race, then a 10km, then a few more 10kms, then a half marathon. You runners out there know how the addiction goes. After three and a half years the news came, London was calling. My husband managed to squeeze in his first full marathon (the Singapore Sundown) before we left. I had huge reservations about London. The weather, the distance from my family, then of course, the weather. But we needed to complete the U.S.A – Asia – Europe trifecta, so off we went. For two years I hauled myself out for muddy runs through Richmond Park (complete with deer) and along the Thames, but my heart just hasn’t been in it. Their goals were inspiring and clear: Set themselves a physically and emotionally challenging trek once a year to raise funds and awareness for women in post-war zones. The main charity they chose to support was Women for Women International (W4WI), who provide vulnerable women in these areas around the world with training, counseling, business skills and guide them to start their own businesses and become influencers in their communities. I had already become involved with W4WI in London, taking part in the occasional fundraising run and other events. I could see the real and positive impact they were having as an organization and wanted to do more. I watched with awe from the sidelines as the WOAM members climbed to base camp in Everest, raising over $100k. The following year it was a trek across the desert in Jordan. Then last year they travelled through the sacred Tsum Valley of Nepal in the Himalayas. The girls were now being invited to speak at engagements across Asia, influencing, inspiring and guiding women in their local communities. Now the group really had my attention and my support. In June this year I received an email from Christine, asking me to join them in this year’s trek, across Siberia! Have I mentioned how I feel about cold weather? The invitation niggled at me. I asked my other half what he thought, expecting a diplomatic, neutral response that wouldn’t actually help me make a decision. “How could you NOT go?” he exclaimed enthusiastically. Oh yeah, that’s why I married you. Next I broached it with the children. My girls were just as excited, moving the conversation on in nanoseconds to the potential for bake sales and fundraising at school. As students at an international school they are always encouraged to think globally and see the world as a community, so Siberia didn’t even rate a raised eyebrow from them. My son, my youngest, lamented that he would miss me too much, but once he was able to put the two week timeframe into perspective, he was onboard. Our self-funded group of 10 women from Singapore, Dubai, London and Kuala Lumpur, will embark on a 12 day trek, on November 24, 2015, with the nomadic Nenet reindeer herders of the Yamal Peninsula of Siberia. In the language of the indigenous Nenets, Yamal means ‘the end of the world.’ This will be the first time in history that an all-female team will accompany the Nenets on their migration. We will meet in Moscow and from there we fly to Salekhard where we can look forward to a seven hour all-terrian vehicle ride to our starting point in the village of Yar Sale. There we have a couple of days to gear up with thigh-high reindeer hide boots, hat and mittens and locate and meet with the nomadic Nenet tribe that we will be accompanying. We will completely immerse ourselves in their daily lives, working eating and sleeping alongside them in their reindeer hide “chums”. From Yar Sale we will begin our trek with the Nenets in their twice-yearly migration of their extensive reindeer herds. The single-file reindeer herds can reach 8km in length. It’s a race against time, as the reindeer need to be herded 48km across the frozen Gulf of Ob (a bay of the Arctic Ocean) before they grow too weak. Like any trek of this kind, there is only so much we can plan for. Flexibility is key. What we have been told to prepare for is: 1. 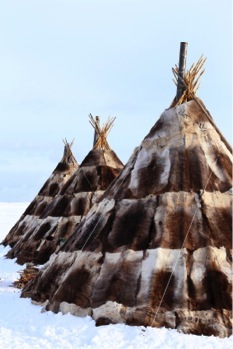 Possible lows of -50c, in which we will be expected to help with the daily chores of the tribe, including chopping wood, collecting ice to melt for water and preparing meals (often raw frozen fish, cooked and raw reindeer and warm reindeer blood – yum, yum). 2. Walking up to 25 miles per day with full pack. 3. A possible 48 hour period where we need to keep moving in order to prevent the reindeer from starving. He understands that family always comes first for me and that sometimes life just gets in the way of training. He designed programs for me that can be done in the local park while my kids are in the playground and workouts for my living room, which is where most of our sessions have been held (complete with the dog helpfully getting in the way). He took into account that I need to walk my dog at least twice a day and integrated my running into the plan, including two 10km London races. Building a strong core – tick, strengthening different muscle groups to counter high winds and slippery surfaces – tick. Having me lug a full backpack around the streets of Chiswick – tick. Cooking dinner in my Sorrels to wear them in – tick. But my favourite part of the training has been the laughs. I know I’ll need my sense of humour the most for this trip. As soon as I agreed to take part in this trek, I felt some unseen load fall from my shoulders. For the past year I have been at a crossroads. Do I jump back into the corporate world or is there something else I could and should be doing? Okay, so maybe I’m having a mini mid-life crisis, but at least it’s cheaper than a Ferrari. This trip has forced me to look outside myself, spend less time in my own head and put the needs of other people first. I held a fundraiser for myself instead of a birthday party this year and it was the best night out I have had in London. I’m giving over my birthday more often. The good-feeling lasts so much longer than any gift ever could. Another reason for doing this trek is to feel strong, physically and mentally. My mother has been extremely unlucky with her health and has suffered with Polymyalgia for too many years. I could be unlucky too and we all know someone who has been struck down by an illness and caused us to question, but why them? I do what I can to put my health and fitness as a priority. I hope all of this makes me a role model for my children. It fills me with so much pride to hear, even my little ones, explaining to people why I am going to Siberia and the organisation I am supporting. After all these years away from Australia, we have decided to move back. It’s exciting and nerve-wracking all at the same time. Despite the fact that I am now balancing my training and preparation for the trip with a search for schools and a home and filling in a never-ending stream of forms, I feel calmer than I ever have been before a move. All funds go directly to Women for Women U.K. Follow Charmian’s journey on her Instagram and Twitter pages.